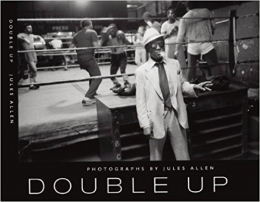 Jules Allen’s photographs, over four decades, expresses the essential truth that a culture’s power is clearest when presented on its own terms and thus, evocative of the contemporary American experience. 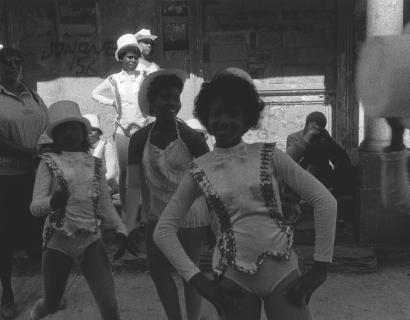 His images place subjects, drawn from the richness of an urban black life, within universal paradigms. Born in San Francisco, CA, in 1947, attended California State University, where he took his first formal photography class, studying with Jack Welpott, a well known, “west coast” portrait and landscape photographer, student and protégé of Ansel Adams and Edward Weston. Allen obtained a B.A. in Fine Arts in 1973 and M.S. in Clinical Counseling Psychology in 1975, the latter was a conscious choice to facilitate the understanding of human behavior. Prior to moving to New York, Allen worked as a psychiatric social worker within the criminal justice system in the San Francisco Bay area, which he found an enlightening and profoundly disturbing experience, and credits it as providing a major developmental shift that helped to shape his life and approach to photography. Working as a New York commercial photographer in editorial, advertising and entertainment, Allen actively pursued the development of a personal vision. Early influences in photography for Allen were Edward Weston, Cartier Bresson and Robert Frank, as well as Roy deCarava, with whom he studied at Hunter College and obtained a Masters in Fine Arts in 1985. The recipient of numerous grants and awards, Allen has been widely exhibited in the U.S. and abroad. His photographs are included in museums and private collections worldwide, inclusive of the Museum of Modern Art, the Studio Museum in Harlem, the Brooklyn Museum, the Smithsonian, the National Gallery, the Schomburg Center for Culture & Research and others. 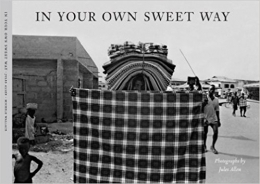 Mr. Allen currently lives and works in New York as a photographer and holds the position as Distinguished Professor in the Department of Art and Design at Queensborough College. 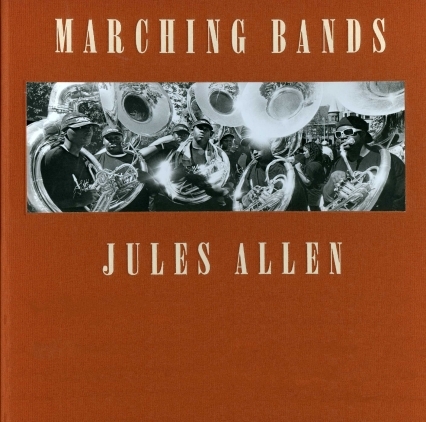 In collaboration with QCC Art Gallery Press, he has published five books, “Hats and HatNots,” “Black Bodies,” “Double Up,” “In Your Own Sweet Way,” and “Marching Bands,” which tells the story of marching bands, throughout the United States illustrating their formal characteristics of pageantry, precision, rhythm and discipline. 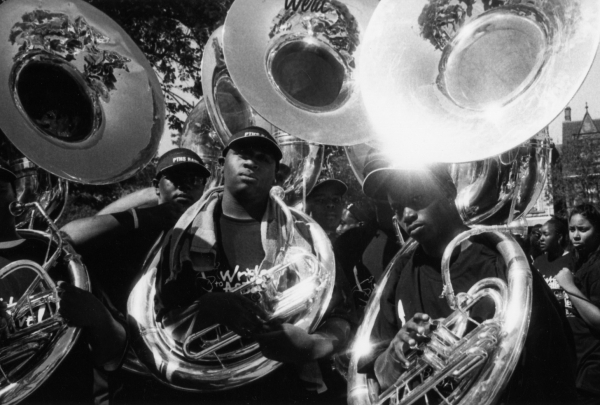 Salamishah Tillet reviews Allen's Marching Bands and how he blurs the boundaries between spectator and performer. 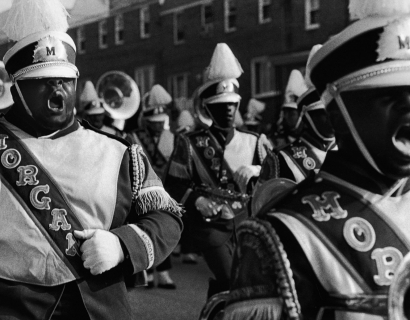 David Gonzalez discusses Jules Allen's photographs of black marching bands that are the subject of his book Marching Bands.